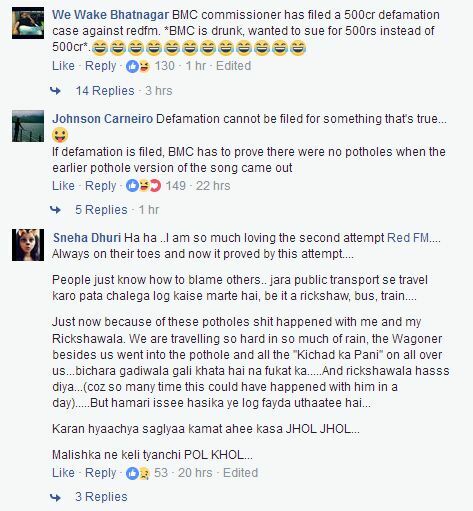 RED FM responds to BMC’s defamation lawsuit with another video! It looks like the ongoing tussle between RED FM and the Brihanmumbai Municipal Corporation is not dying down anytime soon, as RED FM just responded to the defamation lawsuit and the notice to Malishka with another ‘Sonu’ video! 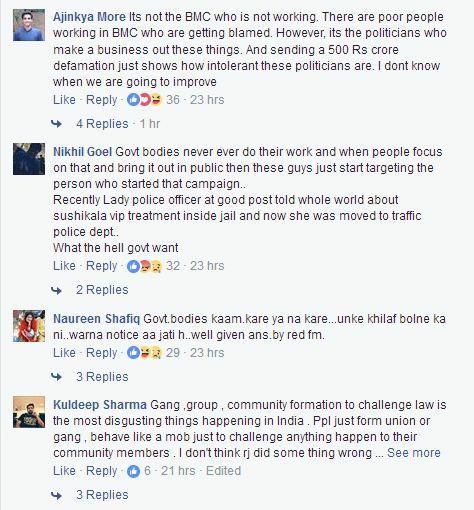 The second video from RED FM shows RJ Malishka’s colleagues led by RJ Raunac team up to call out the BMC’s inability to take a joke/fair criticism and working towards fixing it, rather responding with a defamation lawsuit. 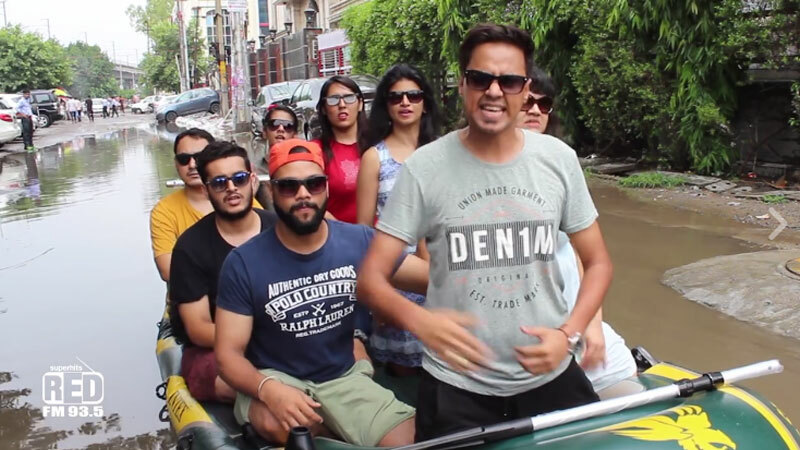 The RED FM team all huddled up in a raft, in the middle of a waterlogged road singing the ‘Sonu’ song with oddly perfect rhymes. Social media sentiment has been increasingly positive towards RED FM, and the second video has racked up more than 25k Reactions, 18k Shares and thousands of comments within 24 hours of being posted. People have thrown their support behind RED FM and a movement is on the rise! People appear to have been put off by BMC’s attempt to slap a defamation lawsuit, and then proceed to slap another notice alleging mosquito infestation was found at RJ Malishka’s Bandra home. One has to give credit to whoever wrote the lyrics for the second ‘Sonu’ song, as it is hilarious and on point at the same time. RJ Malishka is currently away in New York City, where she attended the IIFA Awards, and support for her has been piling up on social media. 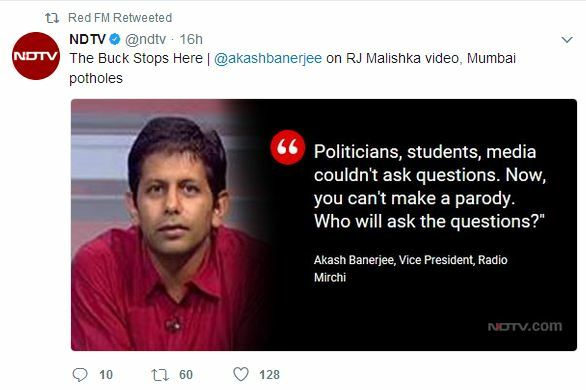 Although in her absence, her co workers have rightly taken the onus to defend one of their own, and many radio stations too have shed their competitive differences aside to support Malishka and RED FM’s initiative. 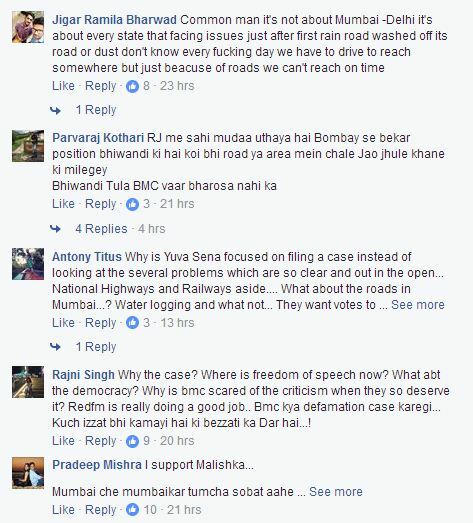 What is your take on RED FM’s response to the Brihanmumbai Municipal Corporation’s response to criticism?